Jovana Vesovic signed for Modena! August 7, 2017	Comments Off on Jovana Vesovic signed for Modena! World Grand Prix 2017: Serbia won bronze! Several new contracts for our players! July 9, 2017	Comments Off on Several new contracts for our players! Sanja Malagurski and Ema Strunjak in Bergamo! July 1, 2017	Comments Off on Sanja Malagurski and Ema Strunjak in Bergamo! Sladjana Mirkovic joins Chemik Police! May 31, 2017	Comments Off on Sladjana Mirkovic joins Chemik Police! May 25, 2017	Comments Off on Brakocevic moves to Russia! 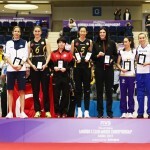 Tijana is the best Opposite Spiker! May 16, 2017	Comments Off on Tijana is the best Opposite Spiker! Novara is the champion of Italy! May 16, 2017	Comments Off on Novara is the champion of Italy! 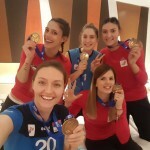 Bojana Radulovic will play AVC Club Volleyball Championship! May 8, 2017	Comments Off on Bojana Radulovic will play AVC Club Volleyball Championship! New contracts for Begic and Karakasheva! May 7, 2017	Comments Off on New contracts for Begic and Karakasheva!